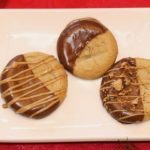 Inside: Find the best peanut butter cookie recipe for these double peanut butter cookies are melt in your mouth delicious. 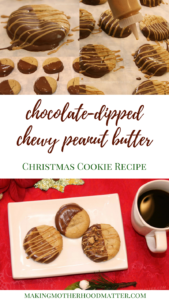 With the holidays in full swing, I love indulging in creative recipes like these chocolate-dipped chewy peanut butter cookies. They are the perfect sweet treat to end a holiday meal. My favorite part about these sweet cookies is that you can get creative by topping them with sea salt, crumbled peanut butter cups, or a drizzle of peanut butter. 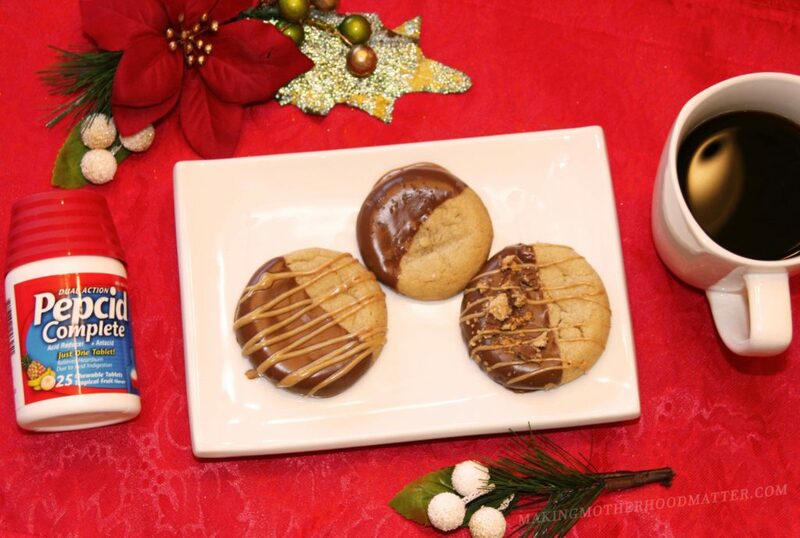 These double peanut butter decadent cookies would make a great addition to any Christmas cookie exchange party too. My challenge during the holiday season has been not eat too many desserts. In the past, I have had to be careful about what dishes I could eat or how many sweet treats I could have in order to avoid digestive health symptoms like indigestion and heartburn. If I wasn’t paying close attention, I would end up with that burning sensation of heartburn in my chest, which is not how I wanted to spend my time with my family. This year I won’t have to pass on my favorite dishes or desserts thanks to PEPCID COMPLETE® which provide digestive health relief and lasts all day or night. I will be able to enjoy some delicious treats like these tummy friendly chocolate-dipped chewy peanut butter cookies. Mix together the butter, both sugars, peanut butter, egg, and vanilla. Beat on low-medium for two minutes. In a separate bowl, whisk together dry ingredients: flour, baking soda, baking powder and salt. Mix the dry ingredients into the butter mixture, a little at a time, until completely combined. Set the dough in the refrigerator for 30 minutes to chill. Use a cookie scoop to shape the dough into even balls and place on a cookie sheet. Bake the cookies for 15 minutes until a light golden brown. Then, allow them to cool for 5 minutes on the cookie sheet. Remove the cookies and place on parchment paper to cool. In a saucepan, heat 1 tablespoon of coconut oil until melted. Slowly stir in the chocolate chips. Once the chips have melted completely, transfer to a small dish. Gently dip the cookies into the melted chocolate and set back on the parchment paper. Sprinkle on your favorite toppings like sea salt or crumbled peanut butter cups. Using a decorating squeeze bottle, add a few scoops of peanut butter into the bottle and warm in the microwave for 30 seconds. 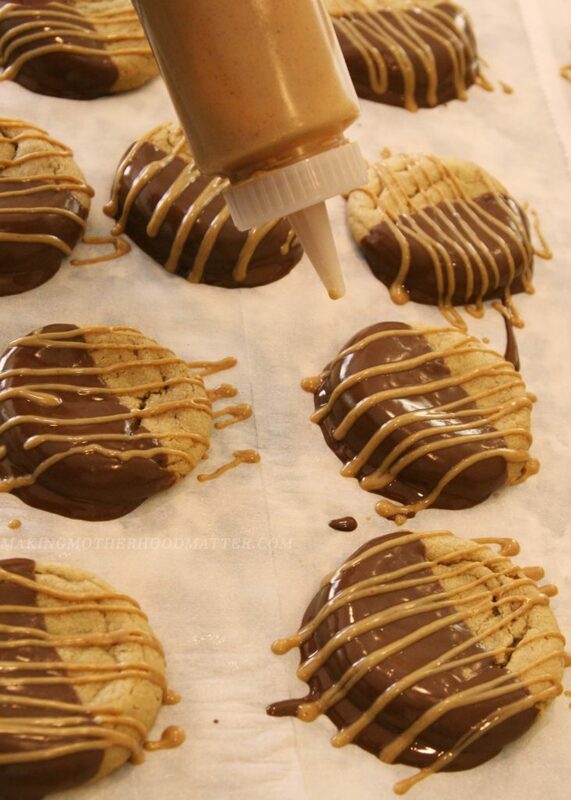 Drizzle peanut butter on top of the cookies. Let the chocolate and peanut butter set for 3-4 hours. 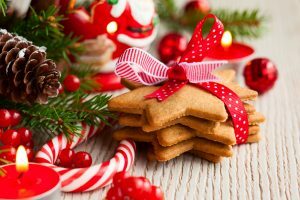 I’d love to hear what toppings you added to this yummy Christmas cookie recipe and feel free to share your favorite symptom-free recipe in the comments. Before you go, don’t forget to stock up on PEPCID® for digestive health relief so you can enjoy your favorite goodies this holiday. 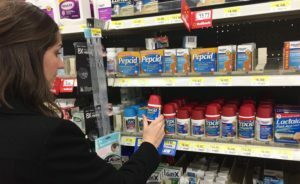 If you have the newspaper from 11/6/16, you can find a coupon for up to $3 off PEPCID from your nearest Walmart. 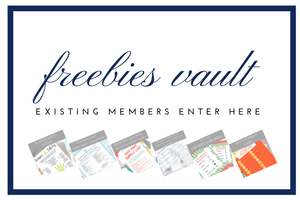 PS- If you enjoyed this piece, you may also like Weekly Meal Plans: How to Plan + 28 Days of Free Plans. Find the best peanut butter cookie recipe for these double peanut butter cookies are melt in your mouth delicious. These look absolutely wonderful! I must add to my baking list this year! They are so good. Thanks for stopping by! These cookies look great and how wonderful that you'll be able to truly enjoy them! Hi Lauren! I like your idea of substituting wheat or gluten-free flour. I hope you enjoy these cookies! Those cookies look delicious! Thanks for sharing! Yum! Need to make some! This looks delicious! Just pinned it and going to make it for Christmas! These look so pretty! I bet they taste amazing too! These look SO good! Chocolate and PB heaven! Yes, my kind of heaven! Those cookies look amazing! I love plain pb cookies so these would be the ultimate! Yum! Chocolate and peanut butter are my weakness! I will have to add these to my list and try not to eat too many ? These look fantastic! My baking skills are rock bottom but I might just give it a go! It's hard to mess these up. Good luck! what a unique idea! Thanks for sharing! My wife loves peanut butter cookies. This is a nice twist on them. I know she will want to try these. Thank you for posting the recipe. Oh good! I am glad she will like them. ummm what! yes please! this recipe is one ill be making soon! They are so much fun to make, especially with mixed toppings. No way! These look so good!